The following lists will show you the number of institutions currently approved for advanced programmes mentioned above. Note that the Advanced Programmes centres include Federal, State and Private Institutions across the country. You can run your IJMB course at any of these schools. 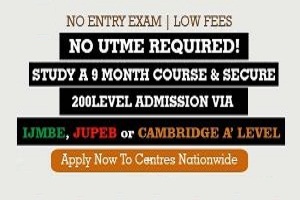 These schools also accept the result for their 200 level Direct Entry admission. 31.Wellspring University, Irhirhi, Benin City.